TORONTO (Reuters) - Canadian marijuana producer Canopy Growth Corp will list on the U.S.'s Nasdaq exchange "in due course," Chief Executive Officer Bruce Linton said on Thursday. 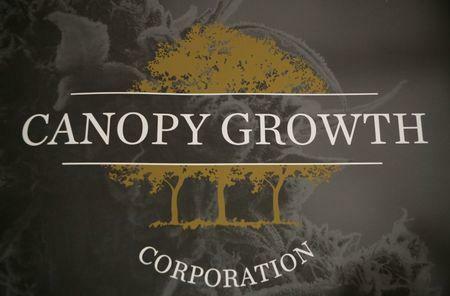 Canopy had initially prepared to list on the Nasdaq in October, Linton said in a speech at the Economic Club of Canada. But the company shelved its plans after liquor producer Constellation Brands bought a 10 percent stake in Canopy, according to a video of the speech posted on the club's website. A Nasdaq listing would put Canopy in the company of fellow Canadian marijuana company Cronos Group , which on Tuesday became the first pot company to trade on Wall Street. Cronos is up 26 percent since its closing price on Monday, compared with a 2.9 percent decline in the Nasdaq Composite Index <.IXIC>. The pursuit of U.S. listings by Canadian pot producers is growing evidence of investor demand for access to a sector that has seen monumental growth over the past several months. The ETFMG Alternative Harvest exchange traded fund went from essentially zero to $400 million in net assets within a month, Vahan Ajamian, research analyst at Beacon Securities, said in a note on Monday. "When Constellation put money into our business, the number of U.S. institutional investors interested in us went way up," Linton said. "The Nasdaq is doing a great job not allowing people to list who break federal laws and that's a place where we should list in due course." Canopy shares jumped 9.5 percent to close at a C$29.96 on Thursday, its highest level since Feb. 20. Linton did not specify a time frame for a Nasdaq listing, but Ajamian estimated it could occur in the second quarter of 2018 in a note on Thursday.